forward to traveling with MM in the future!!! Porter support available: Climbers will be able to hire a porter for all or portions of carries for an exra charge. Route: The Polish Traverse, which is often referred to as the False Polish Glacier Route, is a beautiful high altitude climb. 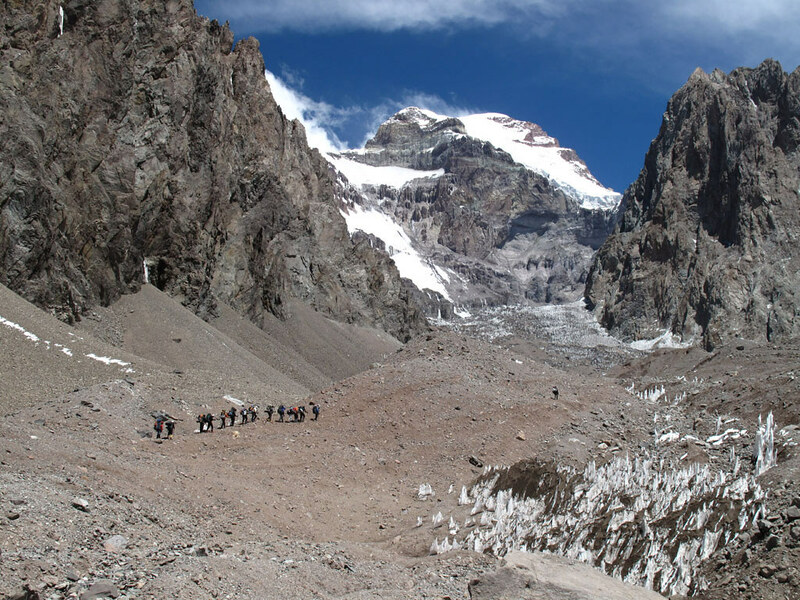 Not to be confused with the Polish Glacier route on Aconcagua, which is a serious high altitude climb suitable for very experienced climbers only, the Traverse travels below the glacier and involves climbing similar to the normal route- it does not, however, involve any glacier travel. 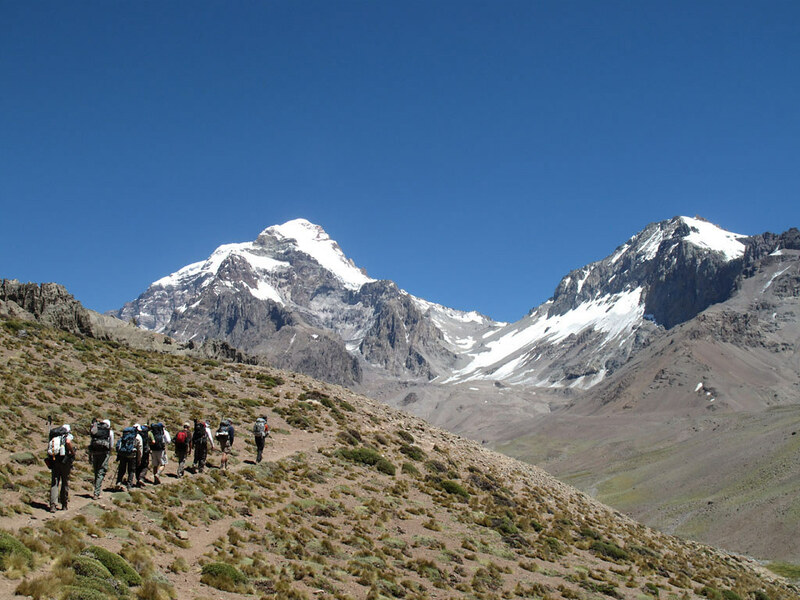 After our ascent we have the option to descend into the Horcones Valley and return to our starting point at the small town of Puenta del Inca by a different route, thus completing a circumnavigation of the mountain. Strategy: All of our equipment is carried to base camp by mules. 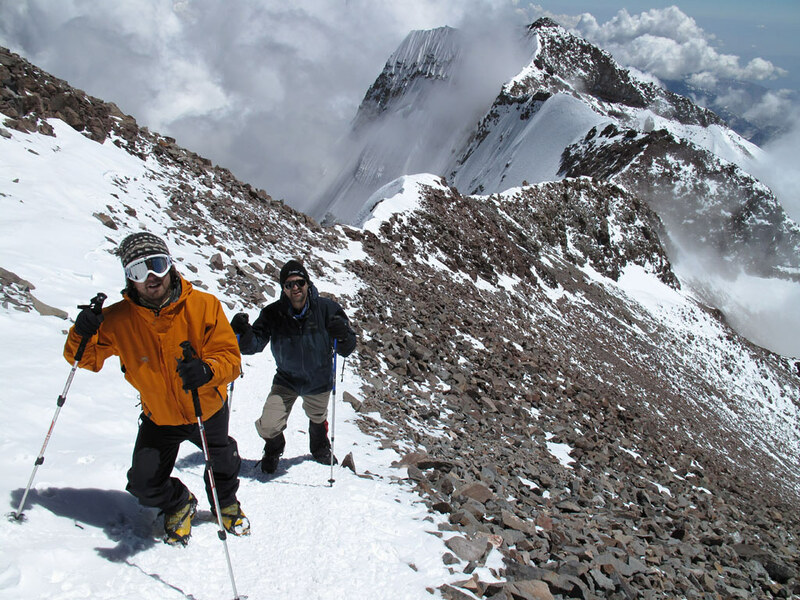 We follow the philosophy of climb high and sleep low as we establish a series of higher camps while ascending Aconcagua. We have also included numerous inclement weather days in the schedule to allow more time to attempt the summit climb. 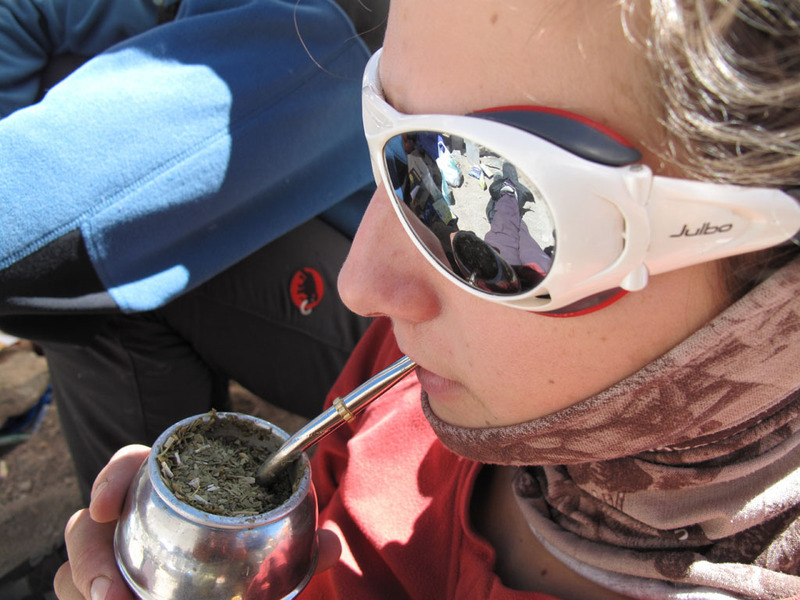 These factors enable proper acclimatization and greatly increase our chance for success. Ya'll have much to be proud of. Good job! Also, on the mountain we got into some very bad weather. Because of our guides and your support of them we got off safely. Others did not. Cannot thank all of you enough.